Our client required planing works to their existing 763m2 car park, as well as a complete resurface. 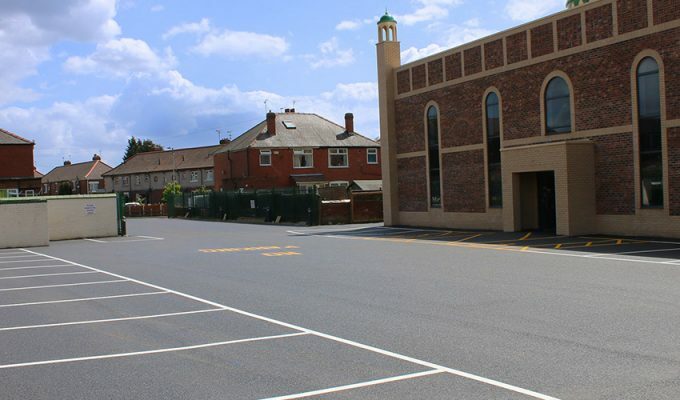 In addition, we provided surfacing to convert previously unused space of 825m2 into additional car parking, increasing the overall space to 1,588m2. The total works required 132T of 6mm SMA, 100T of 20mm binder course and 60T of sub-base, which was comprised of recycled road planings. We finished off the works with line marking to create the allocated spaces. This project was completed over five shifts and consisted of both machine lay and hand lay.